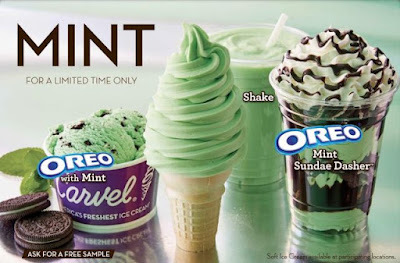 Carvel has brought back various mint ice cream desserts this winter, including mint soft ice cream and mint Oreo ice cream. Mint ice cream is also featured in a mint shake and the mint Oreo Sundae Dasher, which consists of layers of mint ice cream, Oreo cookie pieces, and hot fudge topped with whipped cream and crumbled Oreo cookies. Mint will be around at Carvel all winter long through March 13, 2016. 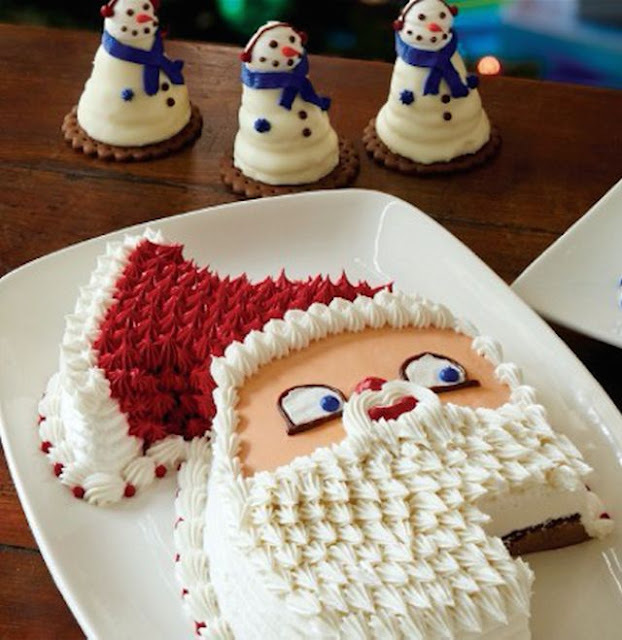 - Santa Cake - layers of freshly made vanilla and chocolate ice cream separated by a layer of chocolate crunchies and covered in icing to resemble a heavily-bearded Santa Claus. - Snowman Cake - A snowman-shaped cake made with layers of fresh vanilla and chocolate ice cream separated by a layer of chocolate crunchies and covered with white, blue, green and red icing. - Christmas Tree Cake - A layered tree-shaped cake of vanilla and chocolate ice cream separated by chocolate crunchies, decorated with green whipped frosting, fudge, and M&Ms. -Lil’ Snowmen Novelty Treats - Soft serve ice cream decorated to look like mini snowmen.